New York does a lot of things well (if we do say so ourselves), but one area where the West Coast has always bested us is Mexican cuisine—until now. From traditional taquerias to mold-breaking Mexican-inspired eateries, securing a taste of Mexico in Manhattan is easier than ever before. Here are the best places to enjoy transporting flavors in the city. Classic cantina fare with a New York flair is what’s on the menu at Tacuba. 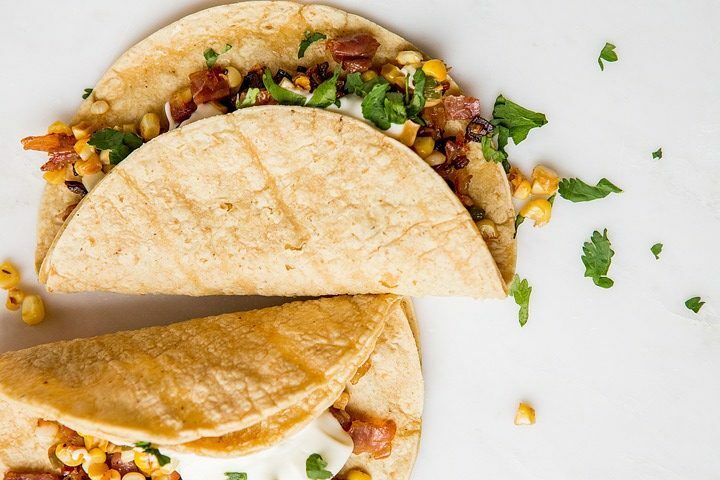 Here, the familiar taco comes stuffed with fillings that are anything but ordinary, such as octopus with chorizo, Oaxacan grasshoppers, and chipotle lobster. Tip: sample everything that catches your eye—you’ll want plenty to wash down with Tacuba’s extensive tequila and mezcal selection. Cooking up “Mexican-inspired” cuisine, Cosme is not your average Latin eatery. 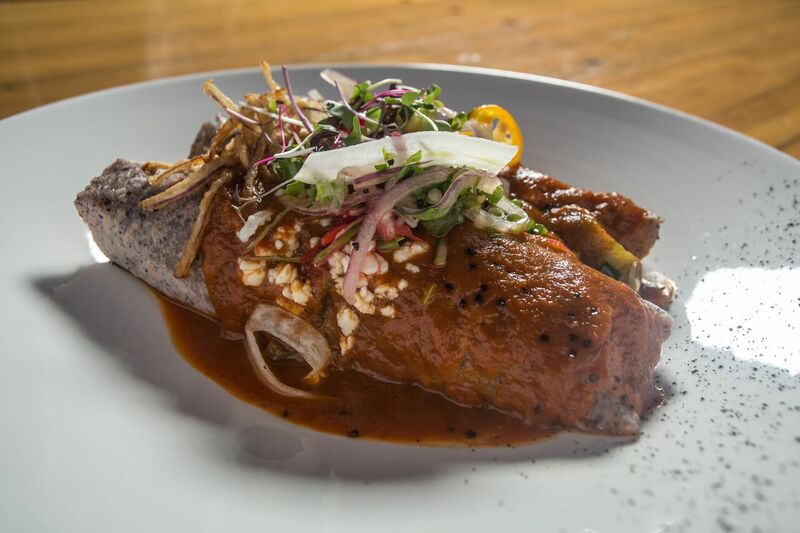 Here, Mexican traditions and Hudson Valley ingredients share space on the menu, resulting in unique dishes such as cobia al pastor, fried oyster tortas, and uni tostadas. Striking a perfect balance with every bite, Cosme tastes like being on vacation and at home all at once. Pairing eccentric cuisine with an elevated environment, Empellón has cooked up something truly special. From crab and sea urchin nachos to sizzling queso with steak tartare (don’t ask, just order) to the now Insta-famous avocado dessert, the menu at this Mexican eatery will appease even the most adventurous of appetites. 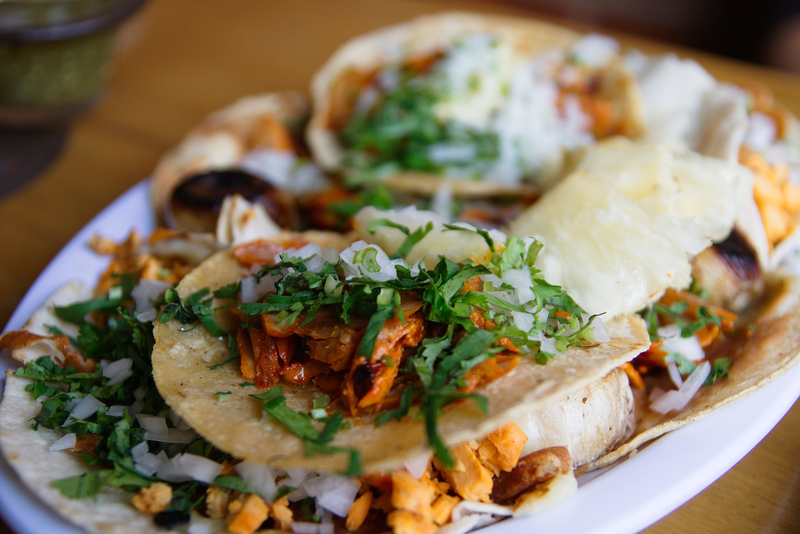 Traditional taqueria offerings with a New York City spin are eaten with abandon at Taqueria. At this Greenwich Village destination, creative riffs on classic dishes such as tacos and salsas feature unconventional ingredients, including short rib pastrami, crispy crab cakes, smoked cashews, and more. Think Mexican food in the Northeast amounts to little more than tacos? Being proven wrong has never been more delicious than at Toloache. At its locations throughout Manhattan, this mold-breaking restaurant serves up classic Mexican fare with a gourmet flair. Guacamole flights, miso-tequila-glazed bacalao, and paella loaded with lobster, octopus, and chorizo round out the spot’s menu of offbeat offerings. Los Tacos keeps things classic, and that’s why they’re number one in New York’s eyes. Situated in foodie-haven Chelsea Market and tourist-favorite Times Square, Los Tacos No. 1 boasts a bustling, quintessentially Latin environment with a menu to match. Homemade aguas frescas, authentic corn tortillas, and fillings such as Adobo-marinated pork and grilled cactus earn this hot spot its number one status. Live out your drunk food dreams at Al Pastor, where a vast tequila and mezcal selection is paired with unconventional culinary concoctions. Expect cheeseburger tacos, baby back rib carnitas, and Spam fried rice, along with draft beers hailing from Mexico to our own New York, at this popular late-night pick. 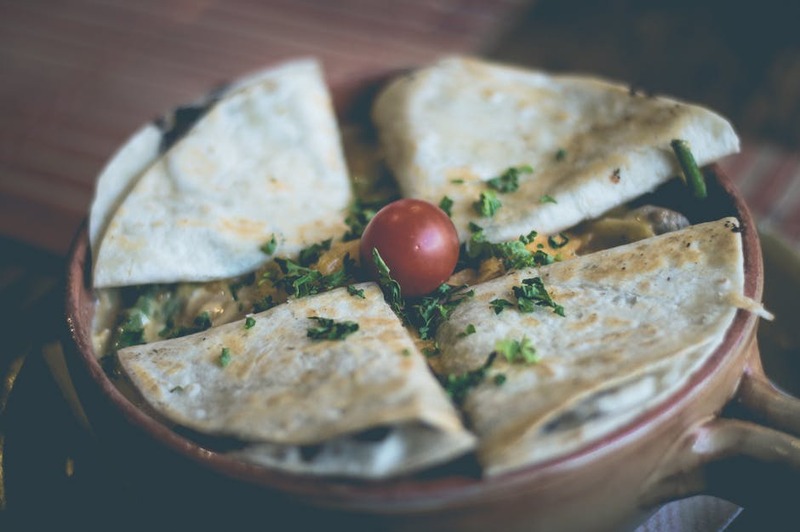 The cult-favorite Cuban-Mexican cuisine at Café Habana has earned the eatery a worldwide fan base, as evident by the café’s locations in New York, Tokyo, and Dubai. Join the global conversation at Café Habana’s Manhattan outpost, where mayonnaise and cheese-smothered grilled corn, citrusy shrimp tacos, and Mexican-style scrambled eggs are enjoyed by all. The health-focused fare at ATLA may not resemble most Mexican food you’ve seen, but that won’t stop you from accepting the eatery’s invite to “join the feast.” The city’s stylish set chooses this NoHo haunt for flax seed chilaquiles, herbed guacamole, and Micheladas with house-made hot sauce. Not your abuela’s Latin restaurant, The Black Ant cooks up contemporary Mexican cuisine with an East Village edge. Braised veal tongue tacos, roasted grasshoppers and avocado puree, and huevos rancheros featuring duck confit are all on the table at this out-there eatery.